A rash decision, poor artistry, a reminder of something you would rather forget or simply time for a change – whatever the reason you are considering removing your tattoo, we can help. Does your clinic offer a pre-treatment dermatology check? Lasers are generally very safe but there are skin conditions that lasers can negatively affect. Having a dermatologist check over the skin under and around the tattoo ensures the highest possible safety and efficacy of your treatment. 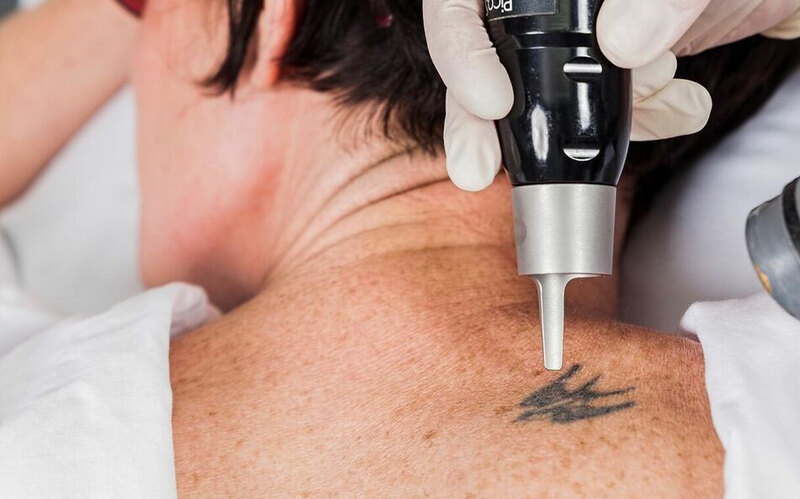 Tattoo removal is hard to predict because we have no way of knowing what the tattoo ink is made from, which means we can not tell whether it will respond quickly or slowly to laser removal. However, most tattoos can largely be removed with pigment lasers. This removal can be delivered with minimal chance of complications, such as scarring.